There are multiple ways to navigate the pages in your project while designing in Blocs. 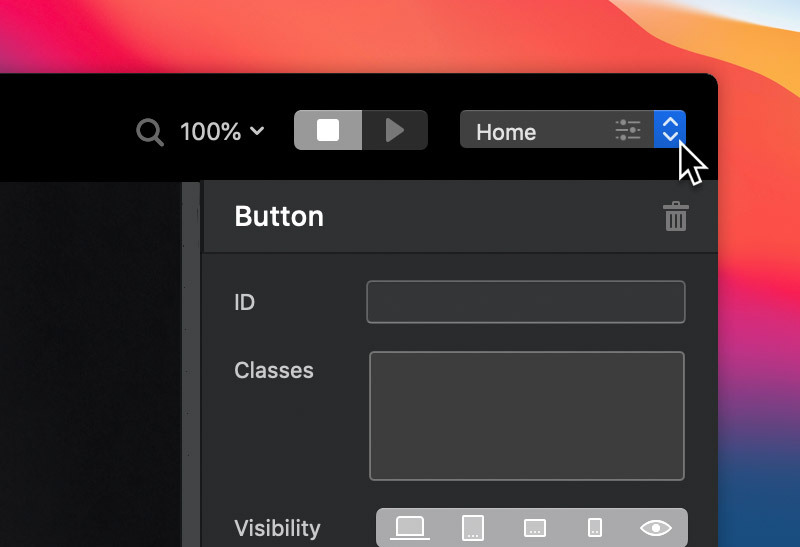 For smaller projects with less pages you can use the simple navigation dropdown menu which is located in the top right corner of the toolbar. This dropdown will list all of the pages within the current project. To change to another page, simply select a page name from the dropdown menu with a left click. The alternative navigation solution within Blocs is referred to as ‘the page navigator’. 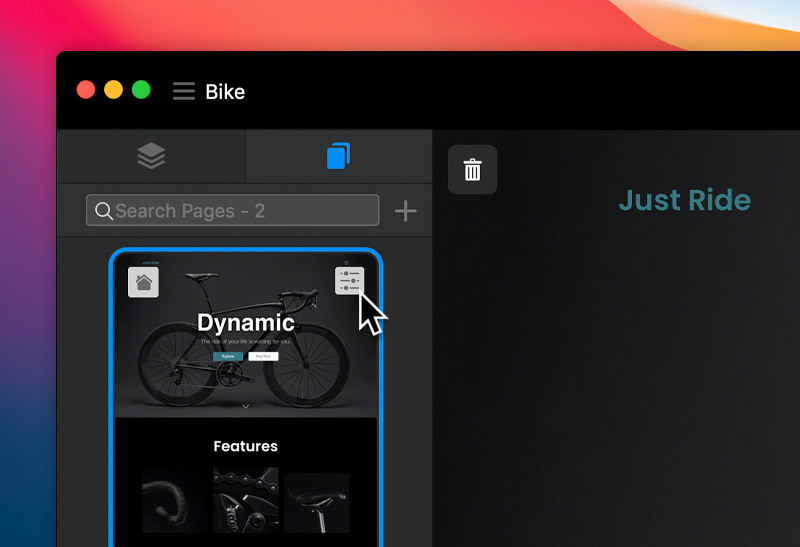 The page navigator gives you a searchable overview of your entire project, meaning you can access any page in seconds just by searching for its name. To access the Navigator, left click the page navigator tab which is located in the sidebar. To navigate to another page, simply click on the page thumbnail you want to move to. You can also make changes to the page settings for any page. You can do this by left clicking the button marked with a settings icon located in the bottom right corner of the page thumbnail.